History of Nova Scotia; Book.2; Part 5; Ch. 5. "Treaties, Orders And Decrees." Ch. 5 - Treaties, Orders And Decrees. The effect of The Jay Treaty was that the British would allow -- thank you very much -- the Americans to trade goods produced by them for goods produced in the West Indies and in the process they may use smaller American vessels. The rest of the world, it seems, was out of bounds. The result was not popular with the Americans. But Jay did the best he could in the circumstances springing from the fact that, at the time, the infant United States had no clout. The British had clout; she had her glorious navy. The development of sea power depends on a number of factors. Certain of them are key. Mahan was to write of how nature has favored certain nations. Some nations are strategically located on a strait or straits which seagoing vessels were obliged to pass. Another factor, as regards to the development of sea power, is, "not the total number of square miles which a country contains, but the length of its coast-line and the character [of] its harbors that are to be considered. "2 These two factors exist in Nova Scotia. Nova Scotia shared the Cabot Strait with Newfoundland, and Nova Scotia most certainly had a long coastline for a relatively small landmass. That part of the coastline on the Atlantic, while hard and rock strewn, had a number of inlets that led to sheltering harbours, ones which could contain a fleet of large men-of-war. So too, Englishmen who had settled in key harbours, such as Liverpool, were superb woodsmen and builders of sea-going sailing vessels. These men had mostly come up from New England both before and after the War of American Independence. They became extremely good traders. Wood and fish went south in the holds of their sailing vessels. They returned with molasses and salt, and anything else that would survive the voyage and get a good price on the docks of Nova Scotia.3 Certainly the drama of Nova Scotian history is best represented by the sea and the traversing sailing ships and the rugged sun-tanned seaman who manned them. Historically England owed her prosperity to trade. Trading under British Colours8 meant trading under the protection of British law and British naval ships.9 The English parliament passed laws in respect to regulating navigation or shipping. It saw no good reason why it should not be obeyed on the seas around the world. Forget sovereign rights. As a practical matter Great Britain was in the business of policing the high seas and everybody was better off for it, especially Britain. The device used was the The Navigation Act . It was this act that was the principal cause of The War of 1812 . Though the British were only happy to capture all the shipping business they could, not only between themselves and other nations -- but, that too, between any two nations in the world! All that a British naval captain had to determine for himself was whether the cargo of the stopped ship was of the kind that might assist Napoleon and was headed for a port under his control or sway. While it proved to be a great difficulty to the United States, The Navigation Act was an act of war aimed at France. It was simply unfortunate, so the British thought, that other nations should suffer from it. Napoleon responded by devising the "continental system," a system designed to get at British commerce. 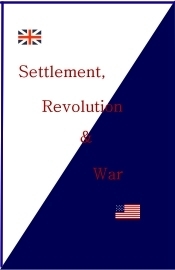 Thus, between England and France, from 1806 to 1812, there was economic warfare, a war of mutual starvation. "The Orders in Council declared all the countries that enforced Napoleon's Decrees to be in a state of blockade, and instituted a rigorous search of neutral ships to prevent them from trading with our enemies. On December 22, 1807, an embargo was imposed by the United States. British ships were forbidden to enter or leave American ports. I should say that embargoes are ominous things generally issued in anticipation of war. (The United States, however, was to take four more years of abuse before war finally broke out.) The American embargo did not work. It impacted more against the Americans than the British.16 In Nova Scotia a proposal was made to the Governor that he should grant licences to vessels carrying goods from Nova Scotia to the United States. Though such carriage of British manufactured goods would be against the American laws, it was thought17 that the Americans would find a way to take these goods as there was a great demand for them. In return, badly needed supplies, especially flour and other articles of food, were brought into Nova Scotia.18 Where granted, the licences were signed jointly by the governor and the admiral, thus protecting them from the British ships of war. During 1807, while a British squadron was at anchor in Chesapeake Bay, a large number of seamen deserted ashore where they came under the protection of American law. It was eventually determined that the U.S. frigate Chesapeake had taken certain of these deserters on as part of her crew. The admiral at Halifax ordered that the Chesapeake be stopped and searched if she ventured out of American waters. On the 22nd of June, some 12 to 15 miles off Cape Henry, the 50-gun British warship, Leopard, challenged the Chesapeake to produce deserters known to be on board. The Chesapeake's captain denied that they had British sailors aboard and further would not allow a British party to come aboard. The Leopard fired several shots into the sides of the Chesapeake. The Chesapeake surrendered and four men were seized as deserters. The Americans had three men killed and 18 wounded, 8 of them badly, and her hull, masts and sails were damaged. This is known as the Chesapeake Incident.19 The two countries were not at war. The Americans were enraged. The British were sorry for the incident and in time reparations were made.20 It cannot be seen, however, that the captains of British warships were to change their ways. While the admiralty did lay down a protocol when looking for British seamen, it was apparently not much followed.